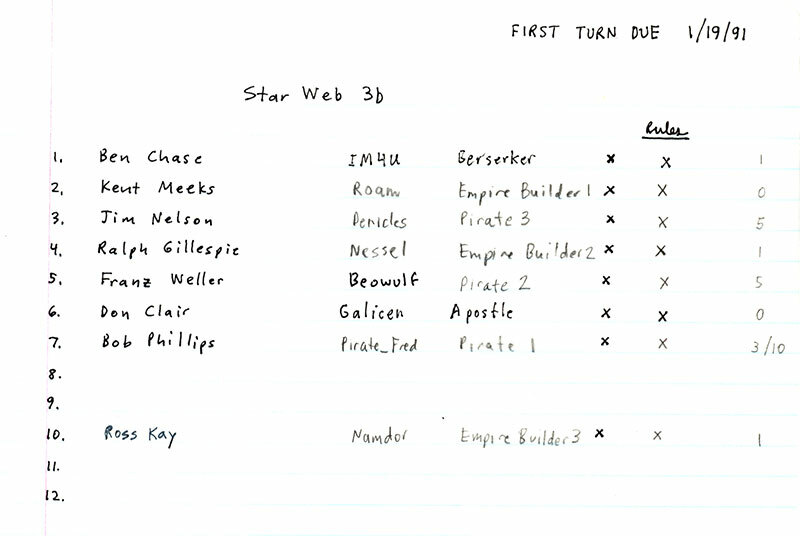 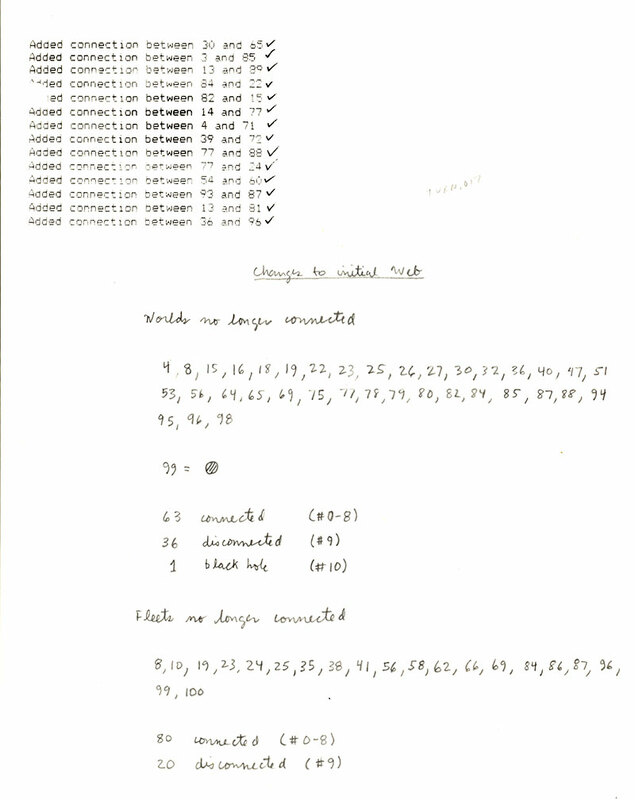 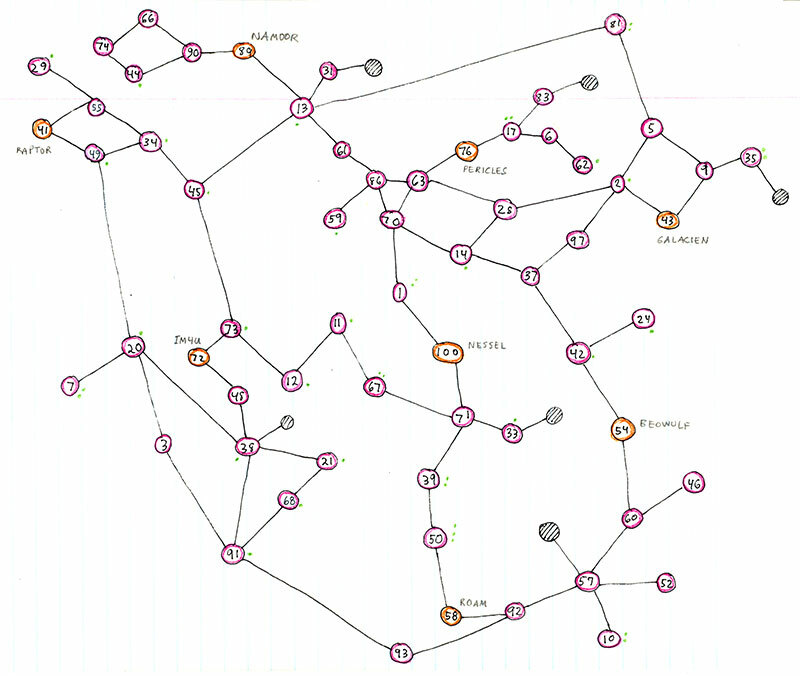 The fourth Starweb game was run simultaneously (almost) with SW3a. 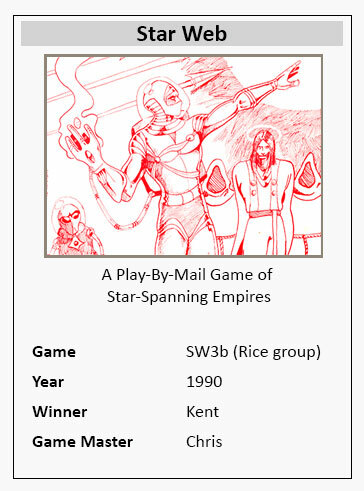 SW3b was mostly the Rice crowd - with Kent winning. 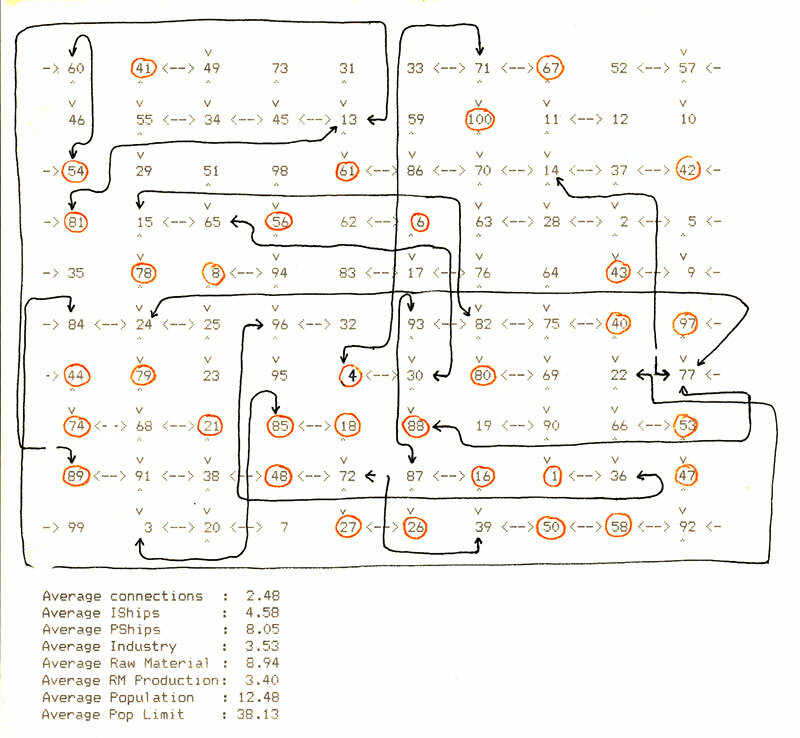 The game started in 1990 and ran for a little over a year. 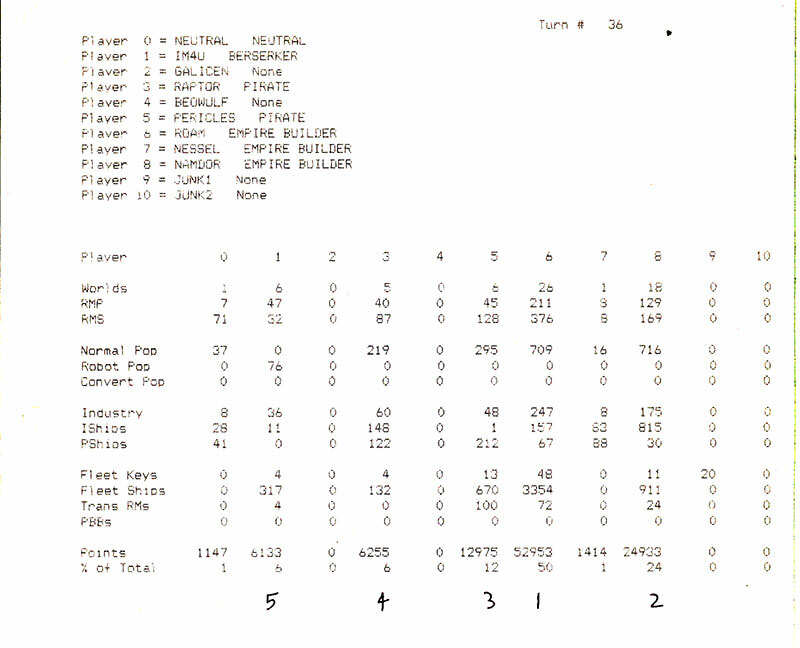 Again, I have a complete set of records of the game. 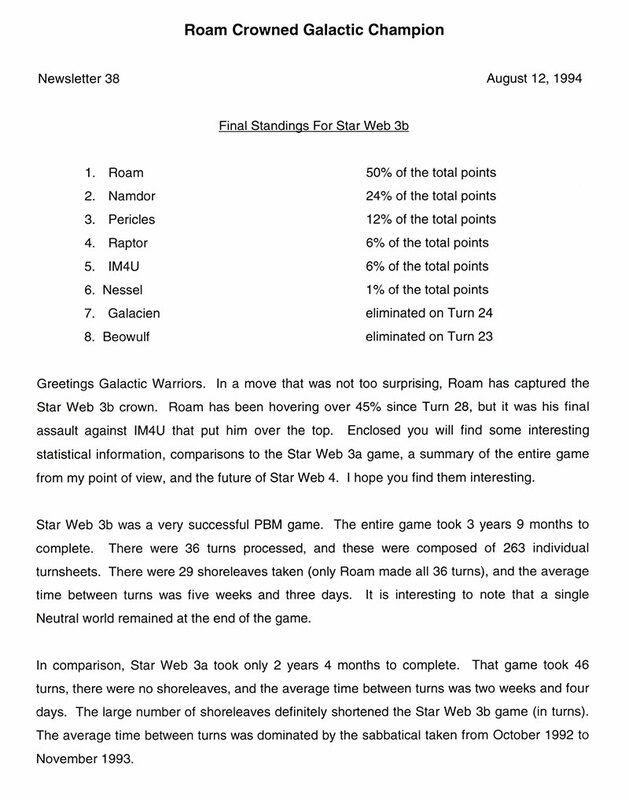 I have scanned all of these - the final standings and the newsletters. 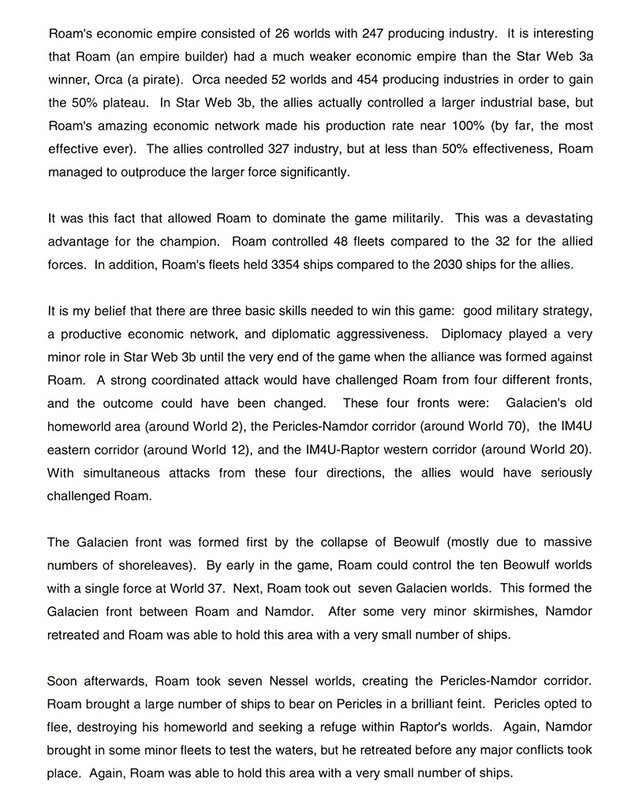 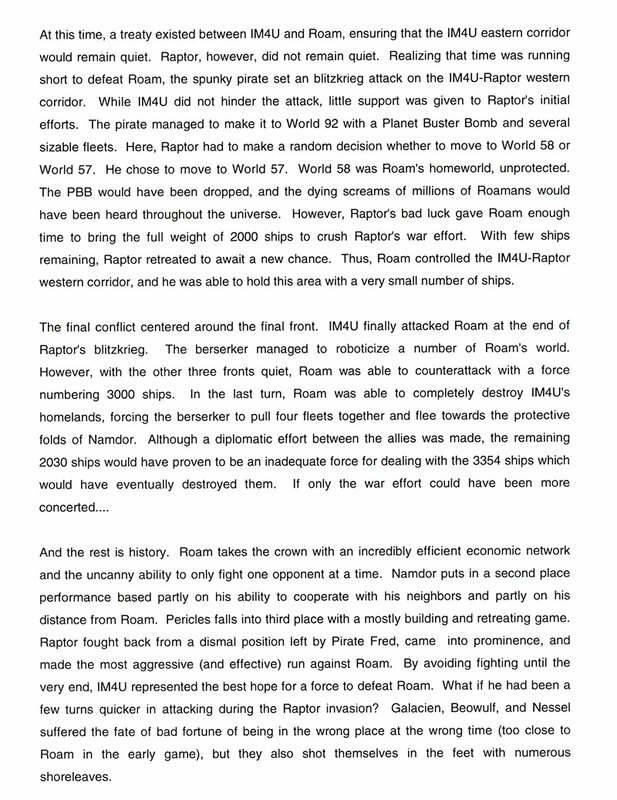 Since the rules were the same as SW3a, I have not included them again.